The South Central Soccer Academy is one of the largest privately owned complexes in the state of Indiana. With over 45 acres on our primary field location, tournament games are convenient and provide for an exciting atmosphere! We are proud to say our organization has been established for nearly 40 years and we have hosted tournaments for the past 23 years with teams from all over the country. Held twice annually at the end of the spring and fall seasons - when teams are peaking and playing their best soccer - we welcome you to participate in the June Classic at the Rock and the October Nightmare at the Rock. The weather is great and the competition is intense! Vendors have been assembled to bring anything you may need for the weekend. An abundance of lodging, entertainment, and eating establishments are only a few miles away. 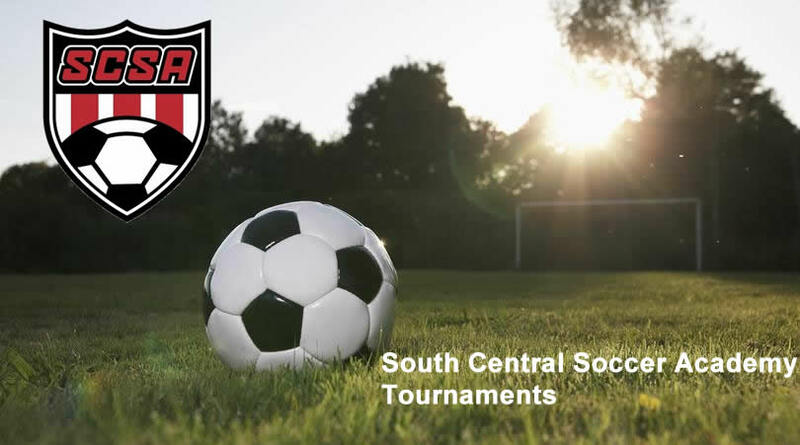 Join SCSA for a weekend of fun and competitive soccer. There is no better way to end your season than hoisting a trophy at SCSA!